The SSWA SDGs Update is a bimonthly electronic newsletter, which summarizes recent news about South and South-West Asia, with a particular focus on regional cooperation and national developments related to the implementation of the Sustainable Development Goals. The newsletter typically features a timely and relevant key event as a lead story and provides a news digest, which is a compilation of news on topics such as SDG priorities and challenges, gender equality and empowerment of women, regional connectivity: trade, transport and energy, and means of Implementation of the SDGs. 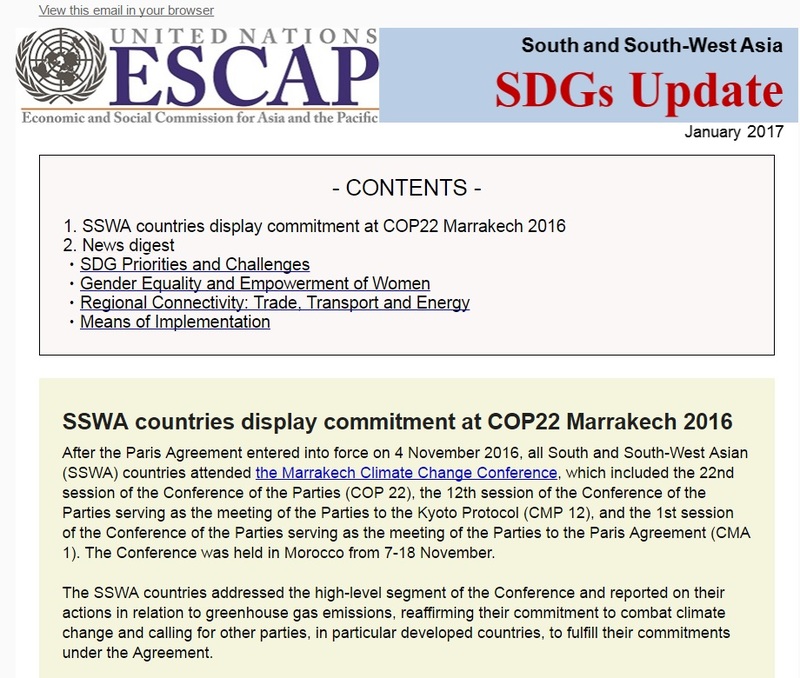 The January issue features the commitment of SSWA countries at Marrakech Climate Change Conference held on 17-18 November 2016.